It’s the second of January but some of my neighbours have taken down their Christmas decorations already. Mind you those are the people who put up their decorations in mid November! 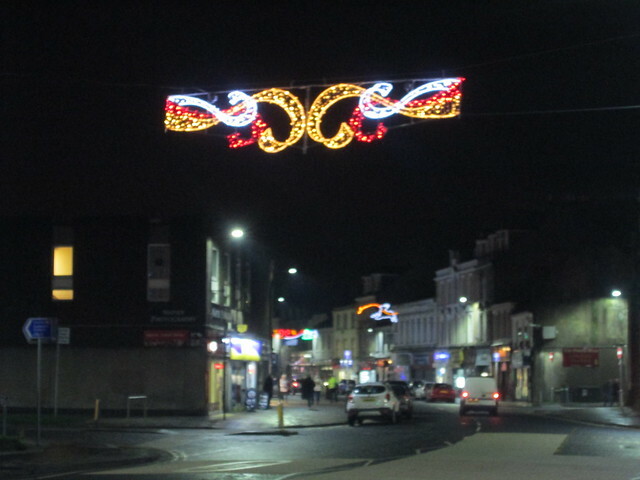 I did manage to take some photos of the lights in a few of the places we visited pre-Christmas, below are the street lights in Dumbarton, the small town that I grew up in. I must say that I was really impressd with the town’s efforts. I actually think that they’re the best ones I’ve seen for a long time. I’m fed up with just bright white lights that so many places seem to have opted for, the yellow and red fairly cheered the place up. 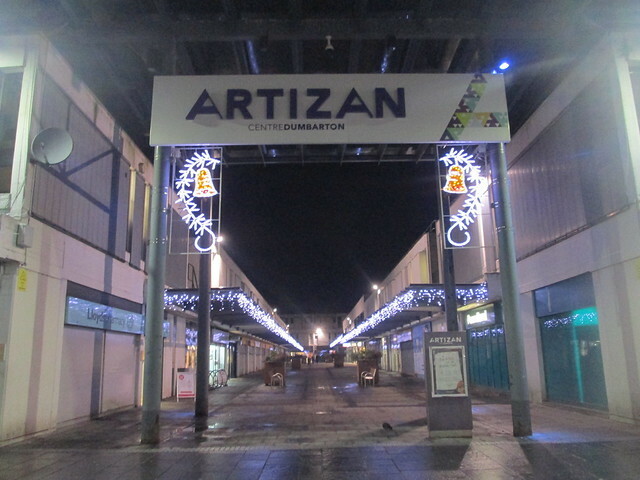 Tha lights of the “Artizan’ area (which by the way is NOT where the old Artizan was) aren’t quite so nice I think, but they’re better than nothing I suppose. 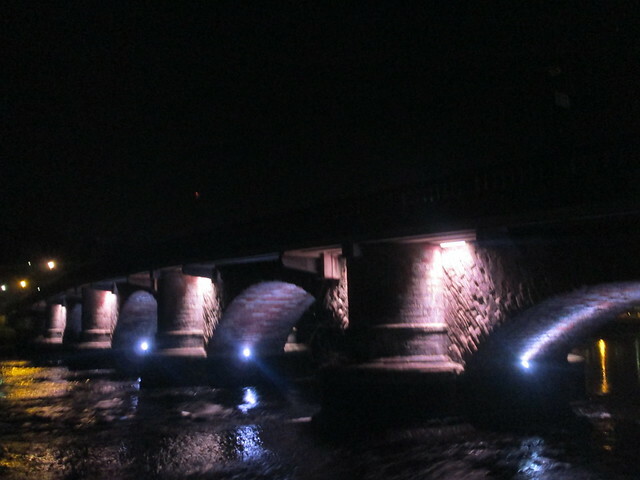 The permanent lights that enhance the old stone bridge below are atmospheric. You can get an idea of what it looks like in daylight from the photo below. 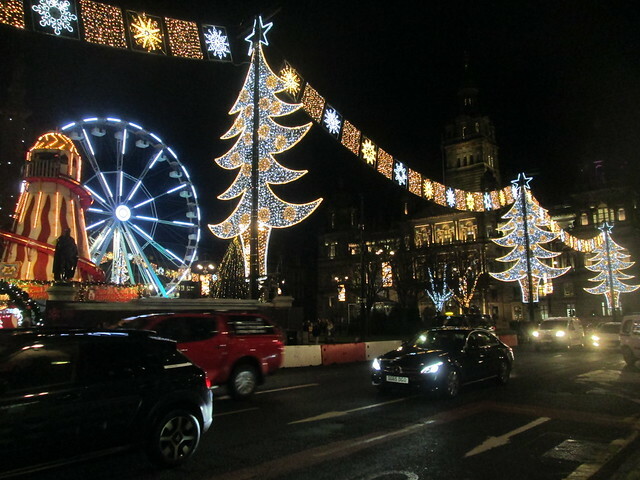 In Glasgow George Square is the focus for the Christmas activities, in my young day that used to mean a nativity scene, but nowadays they plonk a fun fair on it. It was ‘sear your eye balls’ bright this year (2018). 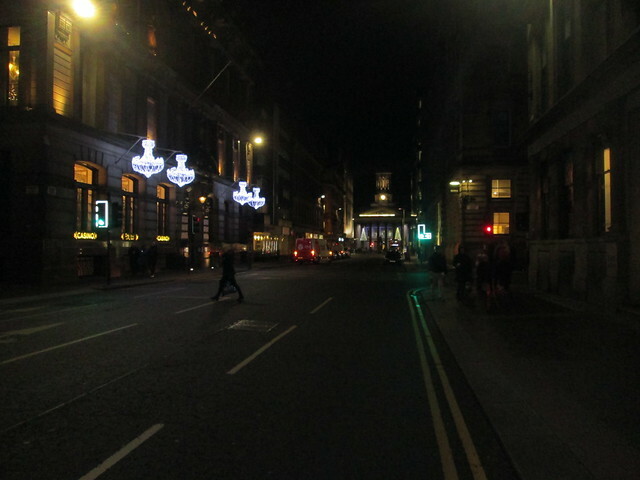 West George Street in the Merchant City area was the place to go if you were looking for something a bit more elegant. The church doorway was flanked by two Christmas trees, it looked pretty in the distance anyway. The church (St George’s Tron) is actually in Nelson Mandela Place though, the first street named after him – long before he was released from prison. 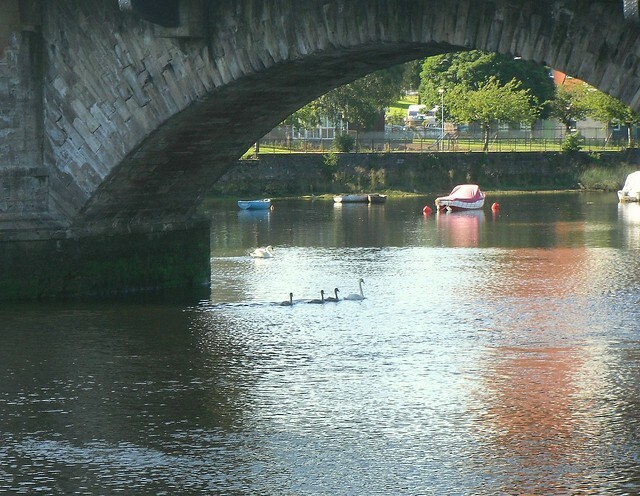 And so went another year – in a flash! 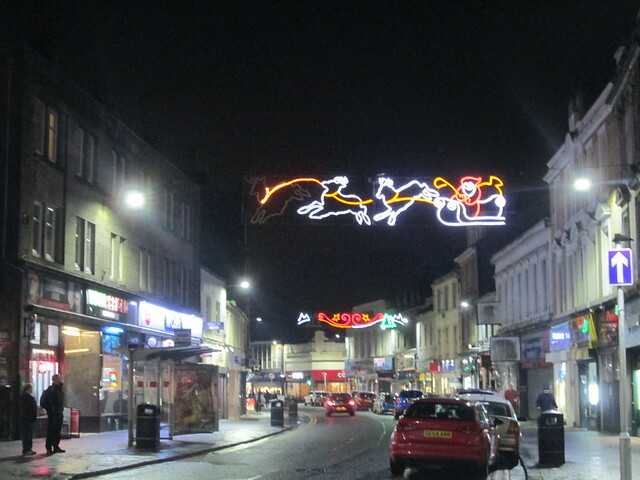 This entry was posted in Bridges, Dumbarton, Towns and tagged Christmas lights, Dumbarton, Glasgow by Katrina. Bookmark the permalink.